The following were our first projects, part of an independent study mentored by Sally Harrison in the Spring of 2014. We thank Sally for giving us the chance, and connecting us with two groups of people doing incredible work. 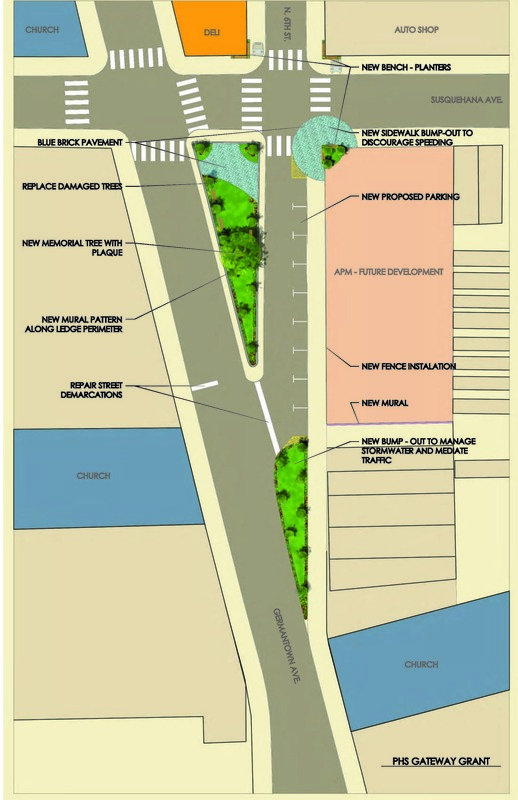 Community organization APM proposes to revitalize the intersection of Germantown Ave, Susquehanna Ave and 6th street. 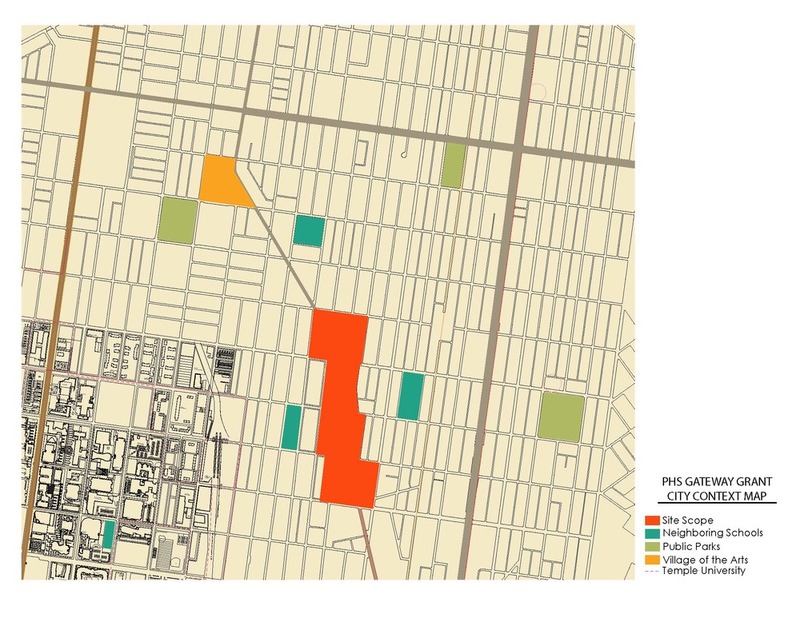 This proposal, which has been dubbed the "Gateway Project," aims to establish a sense of identity to the community, simultaneously assist in storm water management and beautification, in addition to being living evidence of the benefits of collaboration. 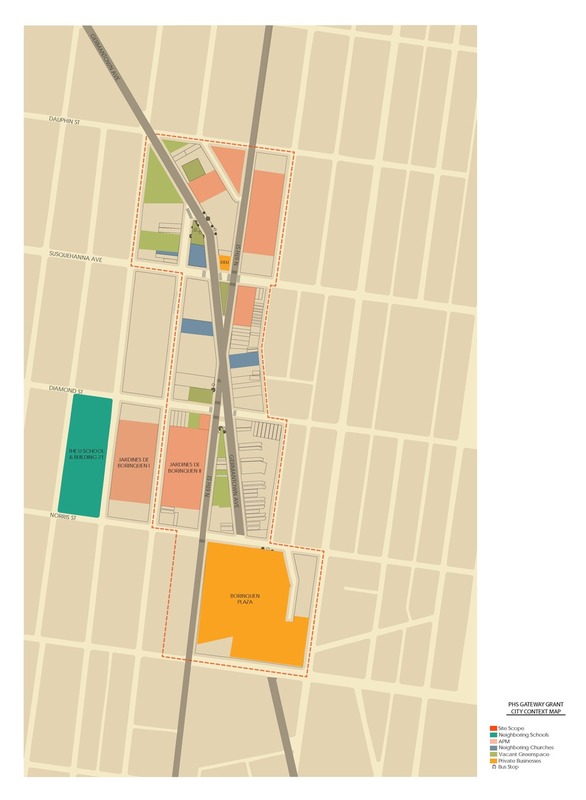 By revitalizing the stitching of the urban fabric at a small scale, we are able to promote opportunities for future collaborative development to occur. BRIC and APM share a vision where community collaboration contributes to improve places, we provided design services to help render their vision. 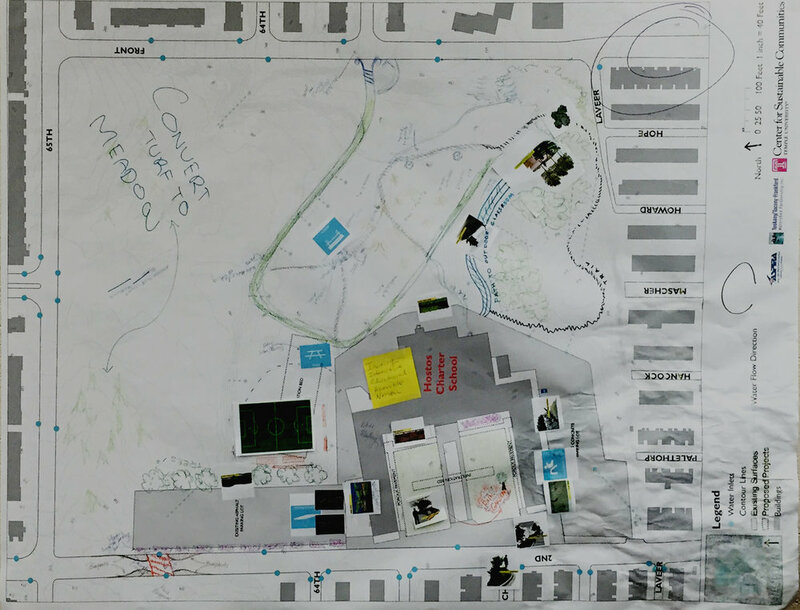 We had the opportunity to work under Dr. Mahbubur R. Meenar, Assistant Director for the Center for Sustainable Communities in Temple University, and his team on their proposal for developing a Green Stormwater Infrastructure plan through a participatory Geodesign process. 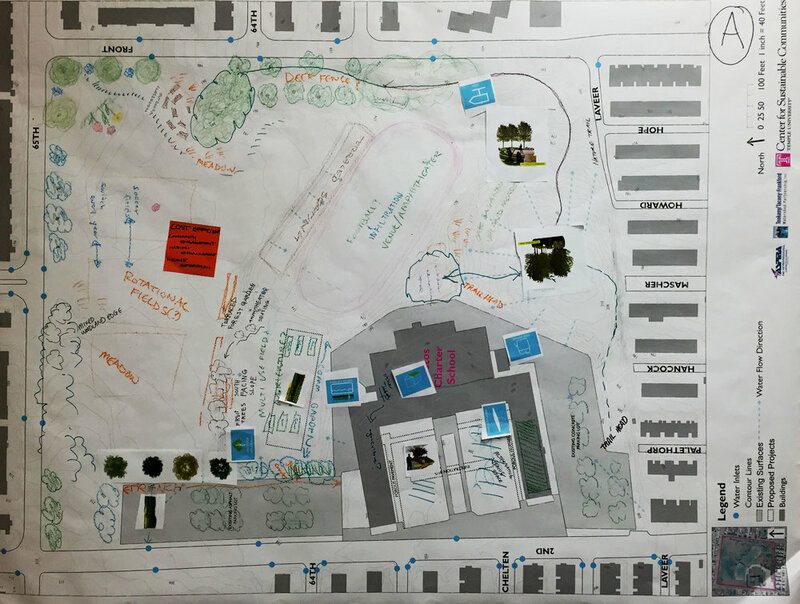 Sponsored by the EPA’s Urban Small Waters Grant program, their project emphasized Green Stormwater Infrastructure while giving residents the opportunity to play a vital role in transforming vacant lots into recreational and community assets. We thank Dr. Meenar for giving us the opportunity to act as facilitators and participants in this project. For more information and updates on their project check this page out. We are excited by the catalyzing properties these projects can have to the future of Philadelphia as well as the opportunity we have been given to play a part in that future.